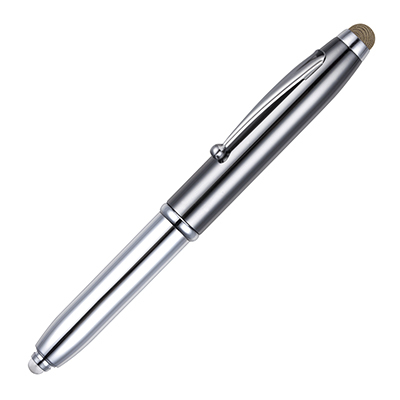 Description: Our best selling multi-function pen with a high end twist! In addition to the ball pen and LED torch this lux, gun metal version will also feature a stylish mesh fabric stylus. The ideal executive gift!